At the end of the last season, a friend kindly posted to us a few seeds from a giant pepper with a view of us having a go at growing a big one. He advised us to get them planted early January which seems incredibly early but he is the expert so today half of them got planted along with a selection of our usual chilli and sweet pepper varieties. 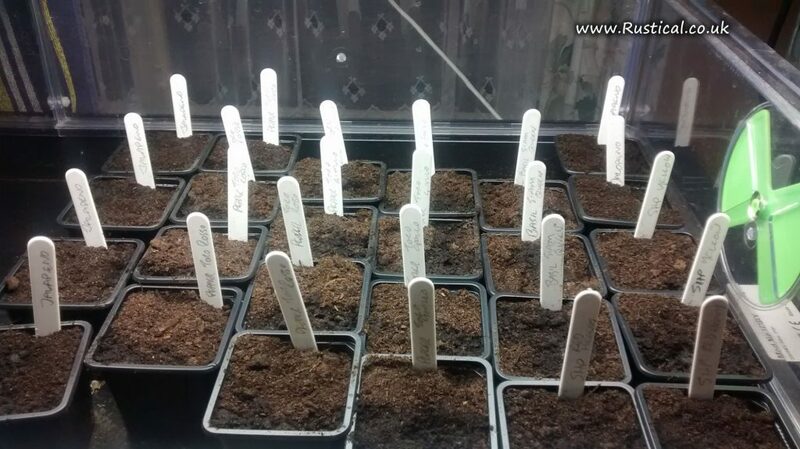 I will plant the rest towards end March as per normal and compare the results. The consensus on germination temperatures for peppers seems to be 80-85 degrees F so the propagator has been set to 28 degrees C.